Lightfoot Plumbing has been servicing Weatherford Texas and surrounding areas for over 33 years. We pride ourselves on delivering swift, friendly and professional plumbing services to residential and commercial customers alike. No matter what the job, we make quality and customer satisfaction our top priority. If you need a plumber in Weatherford TX for preventative maintenance or an urgent plumbing repair job, simply give us a call, and one of our professionals will be on their way. We are available for contact 24/7, so call us day or night for an appointment. Our experienced plumbers are the best in the business. We can fix anything from a slab penetration water leak to a dripping faucet. We are Weatherford’s and the greater Fort Worth area’s full-service plumbing company, providing expert plumbing services when you need it most. We deal with highly recognized brands and can help you find the best fit for your budget and needs. 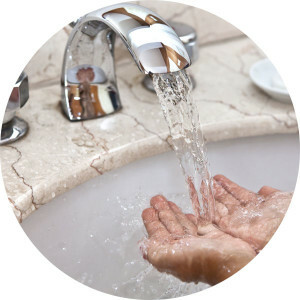 Lightfoot Plumbing offers complete residential and commercial plumbing services. We offer regular service and maintenance for all of your plumbing equipment and fixtures. Scheduling in routine checks will help to extend the lifespan of your equipment and can end up saving you hundreds of dollars in unexpected repairs down the line.